While housing starts were positively rotten last month, weather was a key factor. That said, permits are much less weather sensitive than starts, with a very small margin of error. 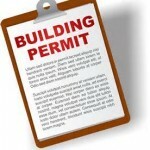 While overall permits were up 4%, single-family permit activity was down 6.2% and is at its lowest level since 5/14. Multifamily activity was up 19.9%, its best performance since 4/14. Despite generally good tailwinds, the housing market holding pattern continues.